Do you provide a landing page to showcase all my properties from a single page? Yes. 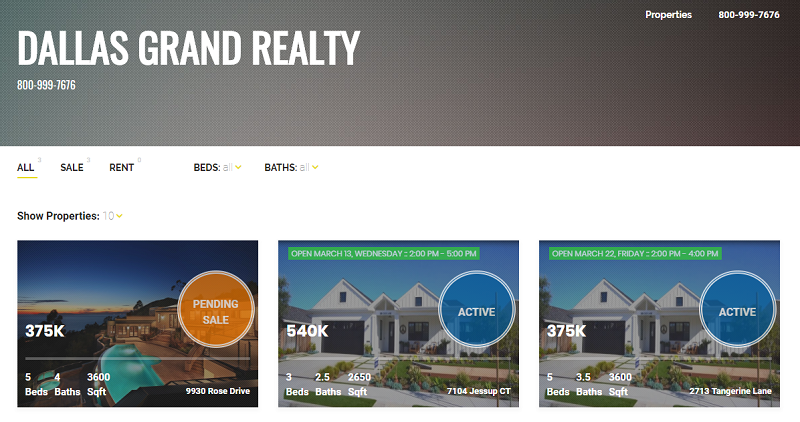 You will automatically get a homepage to easily showcase all your properties. You can also use your own custom domain and map it to your tourmatic homepage. If you don't own a custom domain, no problem! We provide you with a vanity url for FREE to use in place of tourmatic.com if you choose to. Can I White-Label Tourmatic service? Yes. You can easily map your custom domain to your tourmatic account and all your single property sites will run on this custom domain. This is a great option if you want to have a complete branded white-labled experience in place of tourmatic. Can I have a custom domain name for my single property site? Yes. You can easily set a custom domain for your single property site. Can I change the URL of the property? Yes. You can add a custom URL as long as that URL is not taken. Do you provide Analytics Report and Sharing option? Yes. We have a built-in reporting dashboard that allows you to share and track your visitors, monitor views on your property and see how and from where your visitors are coming to your property site.